According to mythology, the girl Laasya (originally Sanskrit) means dancing girl. Mention of Laasya is found in Lexicographers, esp. such as Amarasimha, Halayudha, Hemacandra where Laasya refers to a dancing girl. As indicated by the US popularity charts, Laasya is a very popular name in the USA and has gained popularity since 2000. Laasya is a somewhat popular name in India Laasya is used by 61 people in India as per social media records. As far as we can tell, Laasya is short and unique name. 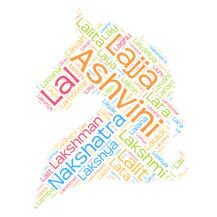 Name Laasya is with Sanskrit meaning attached with it. Laasya also has some sort of mythological significance attached to it. Means "pure, strength" in Sanskrit. 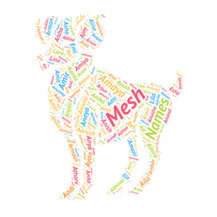 This is another name of .. It is the <a href='/names-of-lord-shiva' title='Names of Lor..
Bhavana (भावन) means creator, producer and effector in Sansk..
Sanskrit name Galav means kind of ebony. Galav is a lotus ba..
Advika means unique. Advika - अद्विक as a boy name and Advik..
Yayati (Sanskrit: ययाति) is a Sanskrit word which means wand..
Shreeja derived from Sanskrit word Shrija ( श्रीज ) means on..